Science teachers and ecologically minded parents: this book is a delightful introduction to the habitat in and around old trees. As AAAS Science Books & Films says, "The science is accurate and the book painlessly teaches important ecological lessons." From lowly fungi to majestic owls, the book connects the web of nature. Repetitive, cumulative verse--a poetic technique that children universally enjoy--aptly portrays the amazing ways in which the inhabitants of the forest depend upon one another for survival. Stunning illustrations by the renowned illustrator, Christopher Canyon, manage to be both magical and true to life. 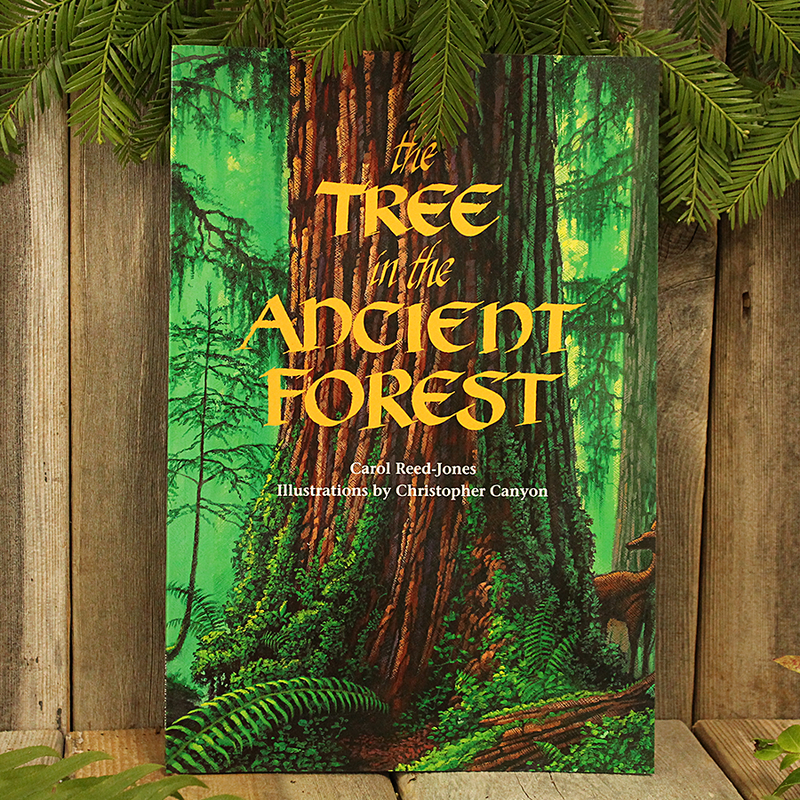 It includes a guide to the forest creatures and their interrelationships, and a concise explanation of an ancient forest.